Proteins in the eye offer a new means of identifying corpses. After the 2004 tsunami smashed into South Asia, thousands of the dead awaited identification for weeks and even months. The more time passed, the harder it became to identify the victims, let alone determine their age. In the wake of a similar catastrophe, however, a new technique may help us learn victims' ages by analyzing the crystalline proteins in their eyes. The proteins form in the lens of the eye during the first two years of life, remaining unchanged thereafter. For anyone born in the last six decades, moreover, the lens proteins carry a radioactive marker—a special signature reflecting the pattern of nuclear bomb tests starting in 1955 and declining at an exponential rate since 1963. "We're always on the lookout for methods of improving our ways to identify corpses," says Niels Lynnerup, a forensic anthropologist at the University of Copenhagen, who developed the technique based on levels of carbon-14. A rare radioactive isotope whose levels were boosted by radiation emitted by the bomb tests, carbon-14 leaves an imprint on plant cells and, by extension, the animals that eat them. While carbon-14 accumulates in tissue like skin or muscle, these cells undergo constant turnover. The eye lens proteins, on the other hand, are unchanging, making them an ideal indicator for date of birth. 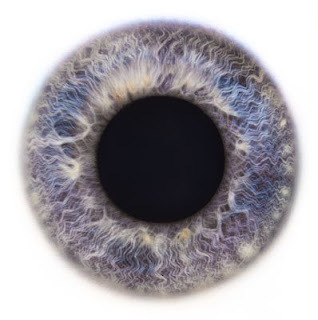 To validate the new technology, eye pathologist Steffen Heegaard sliced out the lenses of 13 deceased people born between 1922 and 1991; then the team extracted the carbon, placed samples in a mass spectrometer, and counted the number of carbon-14 atoms in each. From these results, Lynnerup constructed a mathematical model that would enable him to calculate the age of any unidentified corpse. The research has other practical applications as well: The method could be used to chart the course of Alzheimer's disease or some types of slow-growing cancers, which lay down protein plaques that subsist for decades unaltered.